The Utter Mindlessness Of India’s World T20 Campaign ~ " Century Fox Post "
Colombo: Last night, Mahendra Singh Dhoni revealed that India very much have a ‘horses for courses’ policy in place for the World T20 competition. And he didn’t have to repeat himself twice. But one can’t help but wonder whether Dhoni’s explanation is only an excuse for having no definite plan. In every game that India has played in the tournament, the team has been changed, the bowling line-up has changed, the batting order has been changed and one can only wonder whether all this chopping and changing is starting to affect the confidence of the players. Virender Sehwag was dropped for the game against Australia. The batting order was changed with Yuvraj coming up the order and Rohit Sharma dropping down. Irfan Pathan didn’t open the bowling despite the fact that he got two wickets in the last match against England with the new ball – that left Kevin Pietersen and Rahul Dravid in the television studio a bit confused as well. India went into the match with three spinners – R Ashwin, Harbhajan Singh and Piyush Chawla. In the match against England, Sehwag wasn’t dropped – he was rested. Zaheer Khan and R Ashwin were also rested. Irfan opened the innings, Rohit Sharma came in at two down. Ashok Dinda, Chawla and Harbhajan came into the side and did rather well. The first game against Afghnanistan had seen India go into the match with three seamers and one regular spinner in R Ashwin. Sehwag was in the squad as were Zaheer and Ashwin. One remembers speaking to Gautam Gambhir on what insecurity can do to a player and his answer was quite revealing. “If someone is really insecure, that’s when he is playing for his place and that’s what was happening with me earlier as well. And I have always believed that everyone needs security in every profession. Security is one thing that makes a cricketer play his best cricket and show what talent he really has,” Gambhir had said. Is that what is happening to this team as well? Are players playing for their place in the team rather than for the team? Plenty of problems or problems of plenty? In the space of one match, India has gone from one extreme to the other. After the game against Afghanistan, Virat Kohli had come out and said that India’s bowling needs some work. So there were some problems in that regard. And yesterday, he blamed the loss on the team not preparing for the rain. But it has been raining in Colombo pretty often and the Indian team has been based in the Sri Lankan capital throughout the tournament, how could he not factor that in? India has problems, it’s pretty clear to anyone watching. 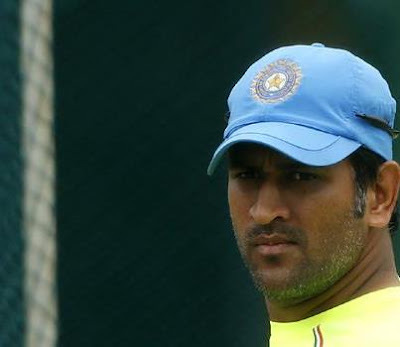 So what’s Dhoni really thinking? Dhoni even sarcastically said the practice has been prevalent in Indian cricket “for past 50-55 years” and he saw no reason to change it. He felt that the part-timers would play a vital role for India. For the moment, it seems like the Indian captain doesn’t even believe himself. And this isn’t horses for courses; this is a gamble – where you keep hoping to get lucky. If India lose this tournament, it’s about time Dhoni’s captaincy starts being placed under some pretty serious scrutiny. P.S. On a slightly different tangent, it might even be interesting to examine the role of the Indian Premier League and the Champions League. Since the start of the IPL in 2008, India have not even won one Super 8 game in the World T20 tournament. So much for a tournament, that was supposed to make us good in the particular format.